This post was written almost an year ago but has kept unpublished. 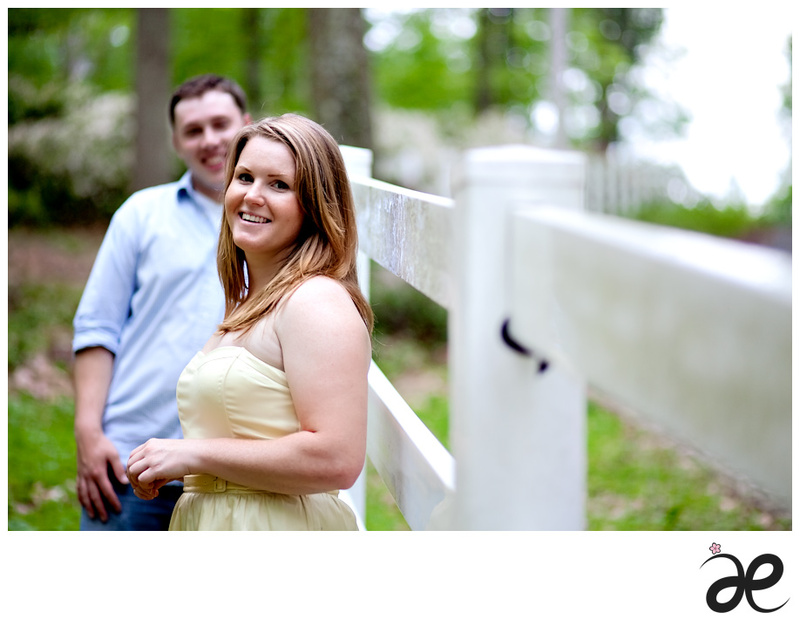 The engagement session was right before the Spring/Summer wedding season, and I quickly became too busy to keep up on my blog because of so many weddings that followed. 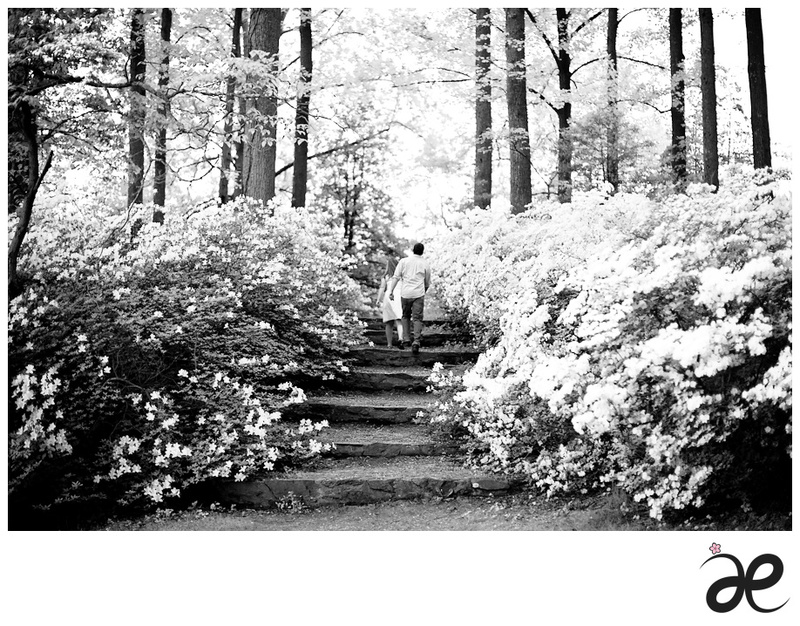 But in case any of you are looking for an awesome place with azaleas to get your engagement photos taken, I decided to share this photos with you. It is always embarrassing to share old photos because the pictures are never as good as they can be if I have taken now. 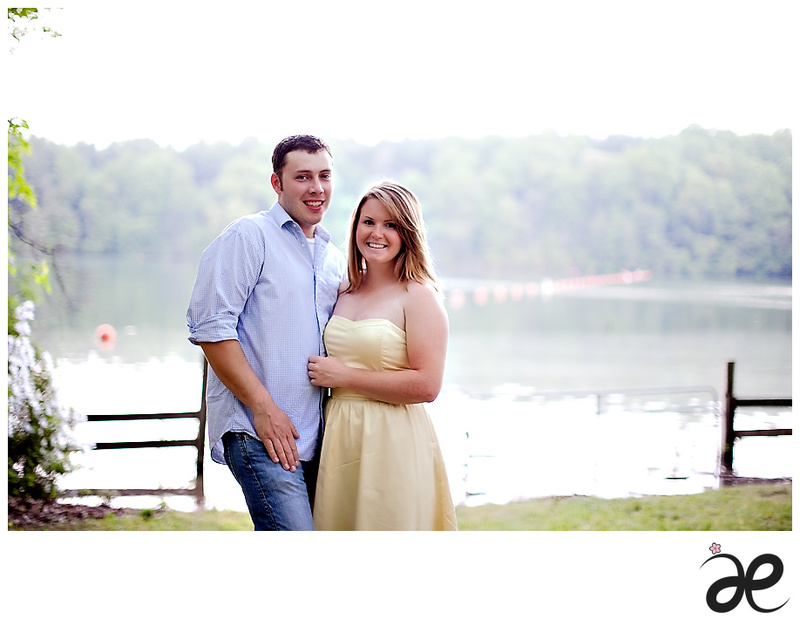 – Luckily, my skills get better as time goes… :) But hopefully these photos can help you getting your engagement photo ideas for this spring! 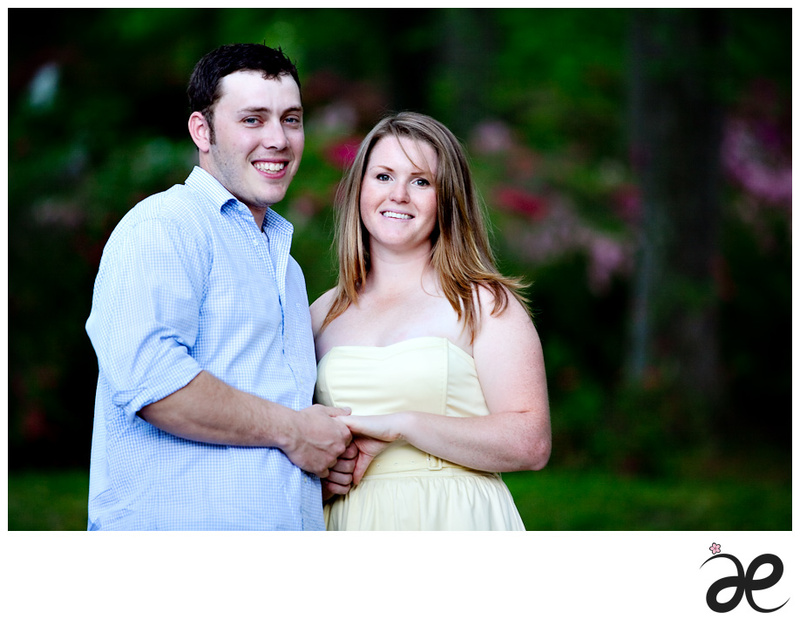 Chris purchased an engagement session at a charity auction by United Way almost a half year ago. 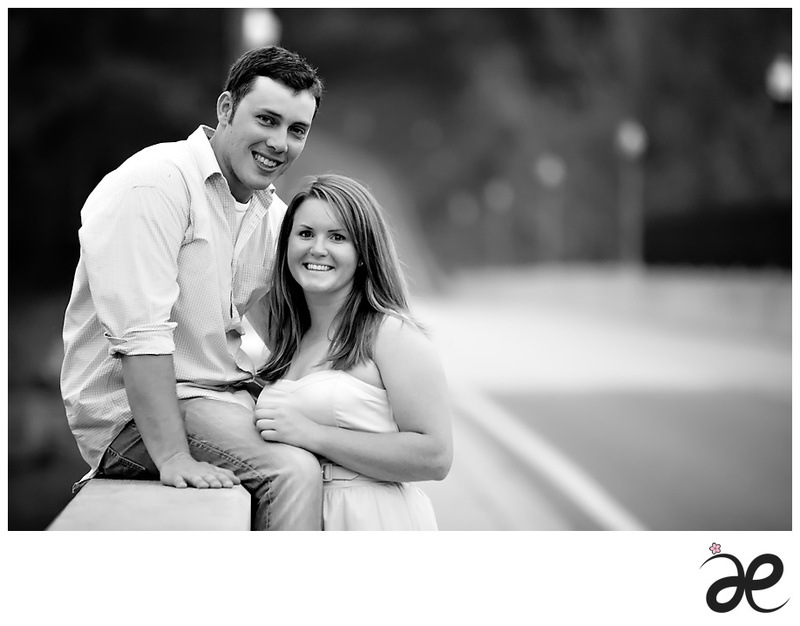 Chris and Kathryn hadn’t been engaged at that time but Chris was certain that he would need an engagement session soon! 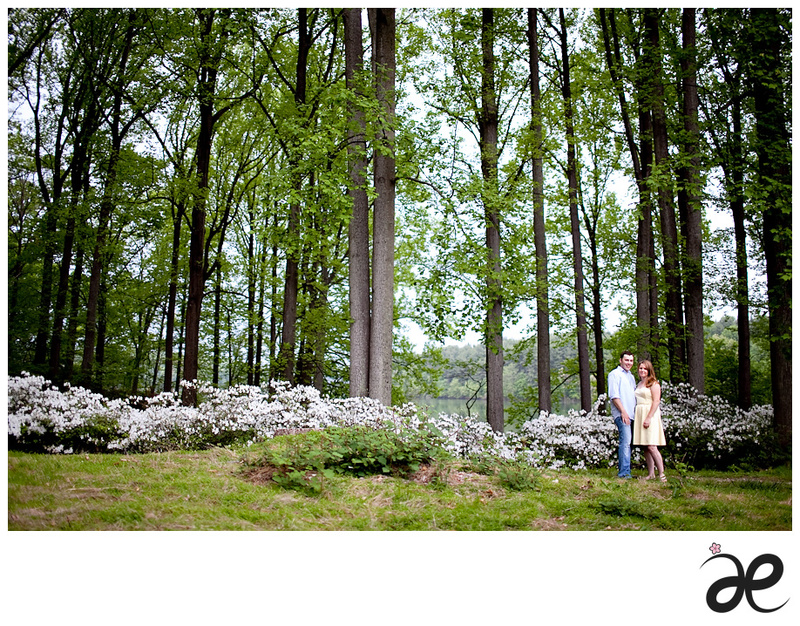 :) And all three of use were waiting for the last six months for azalea to bloom. The timing couldn’t be more perfect. 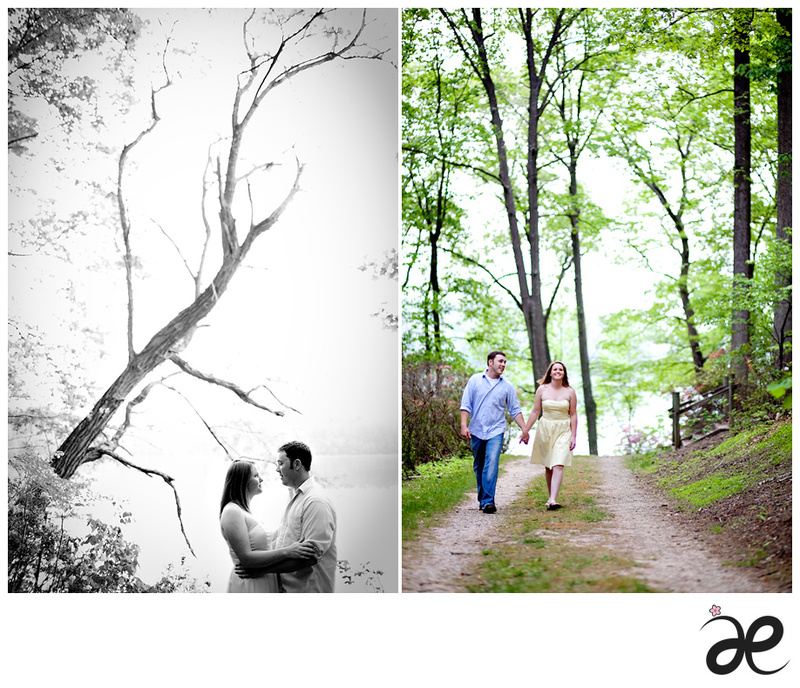 Kathryn and Chris, thanks a lot for taking me to such an awesome location! 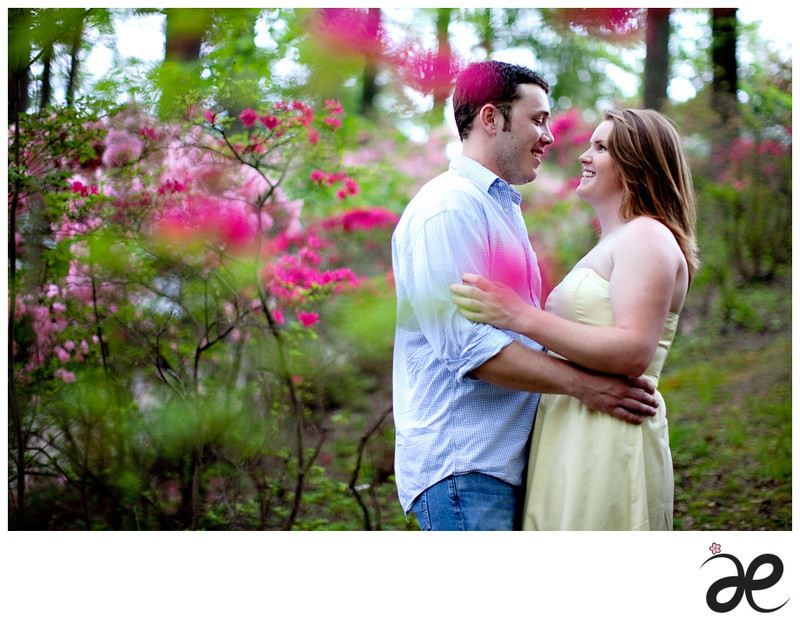 Water, forest and colorful azaleas… It was serene and vibrant at the same time.